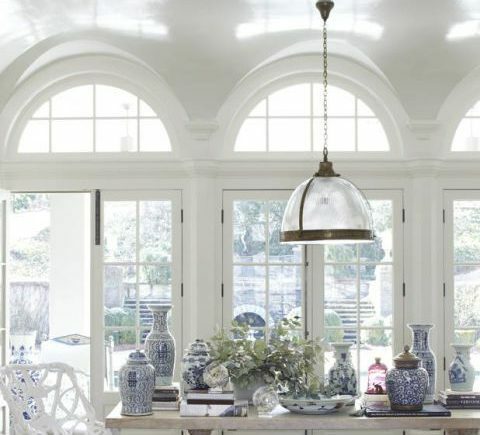 Blue and white is a classic color combo that is always elegant and chic. 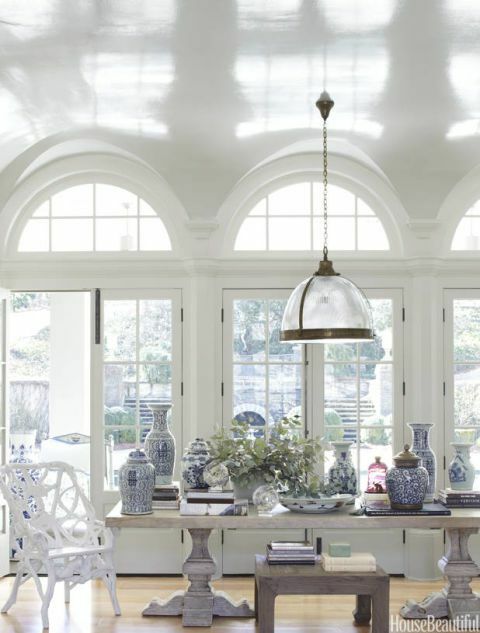 Such a classic style of decorating, this duo is timeless, livable, and says warmer weather to us. 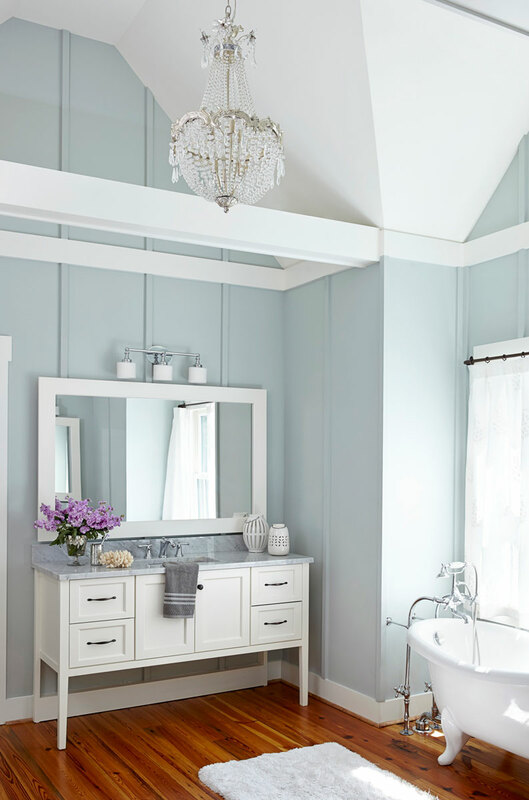 Although these colors have been seen in interior design for years, they truly never go out of style. 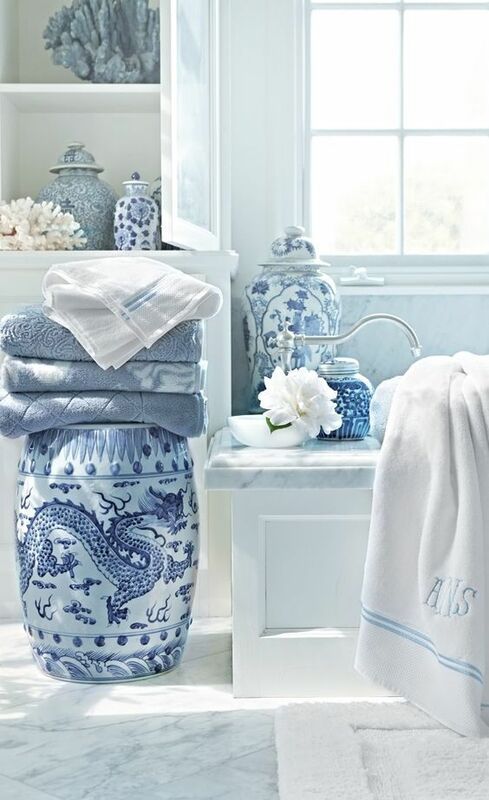 A deep calming blue paired with sleek, clean white can make any area feel light and airy. 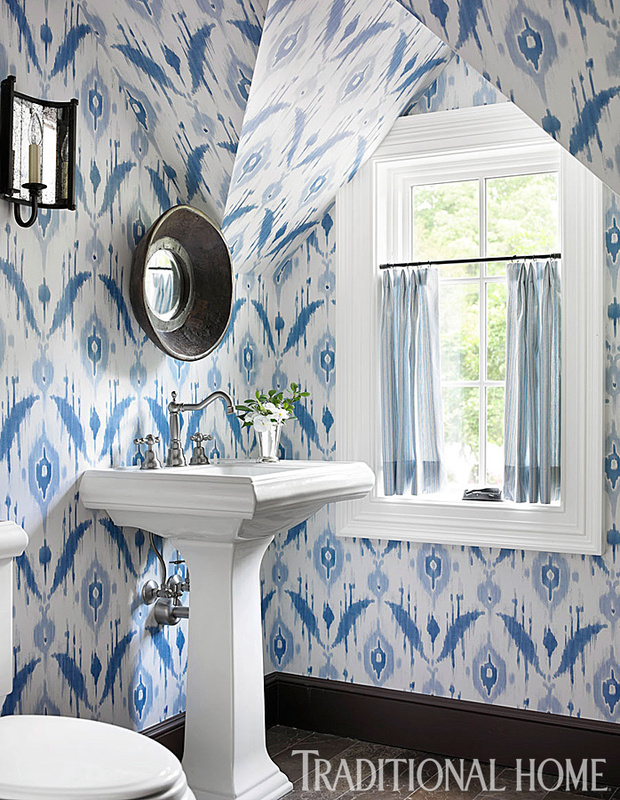 Use these colors to decorate a living room, bathroom, or an outdoor sitting space. This versatile pair can work to make any space feel sophisticated without being stuffy. 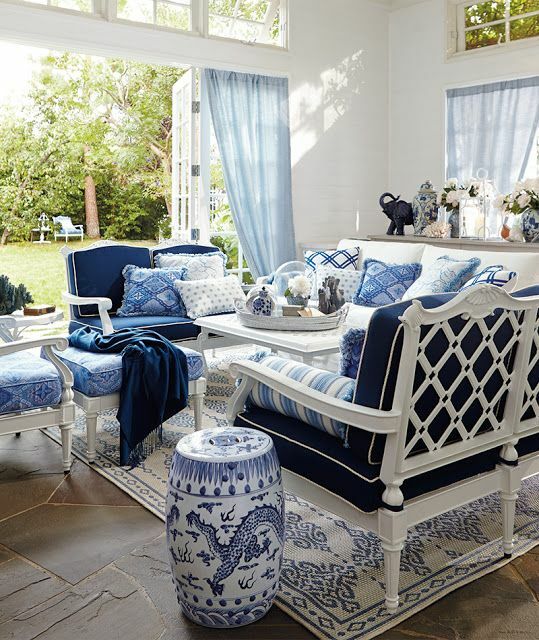 Here are some of our favorite ways to decorate using blue and white, with a few tips from our EIC, Kathy Fielder herself! 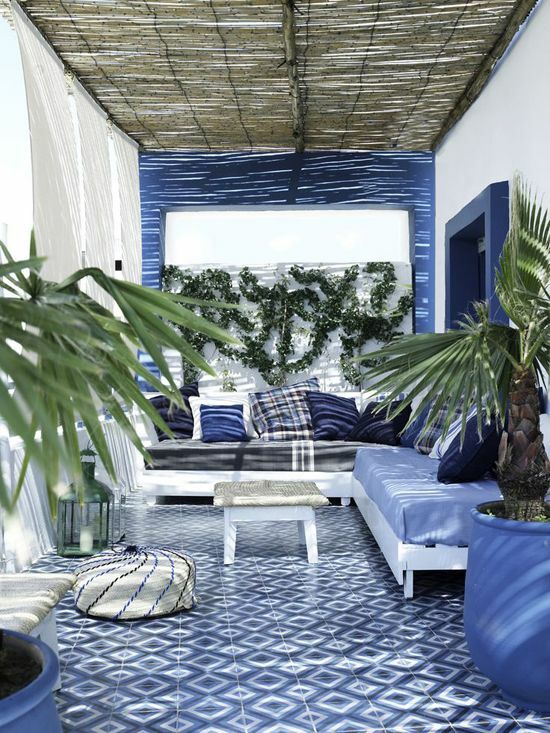 The blue and white color combo can easily make a space look nautical. 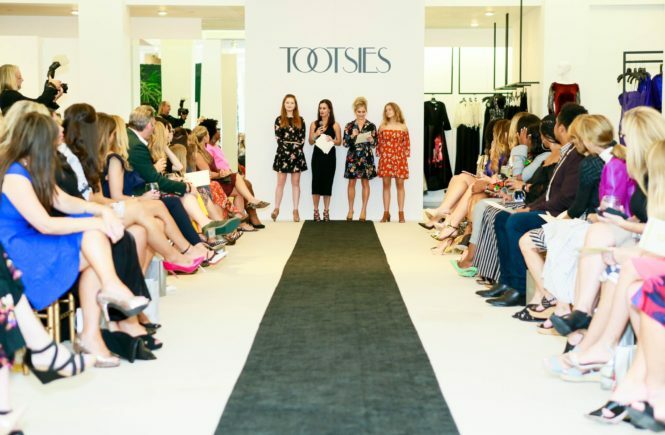 If that isn’t the look you’re going for there are a few simple tricks that will ensure your room has the look you desire. 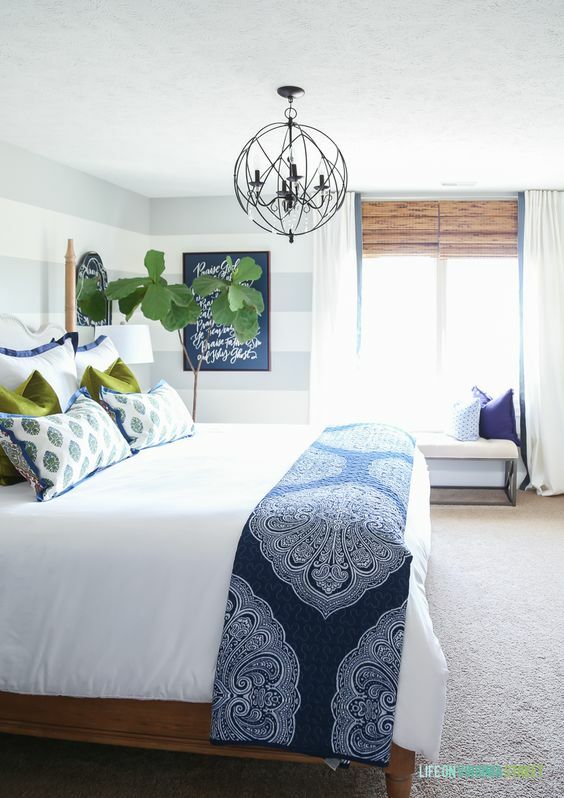 Mixing patterns and textures in the room can make it look more unique and modern. 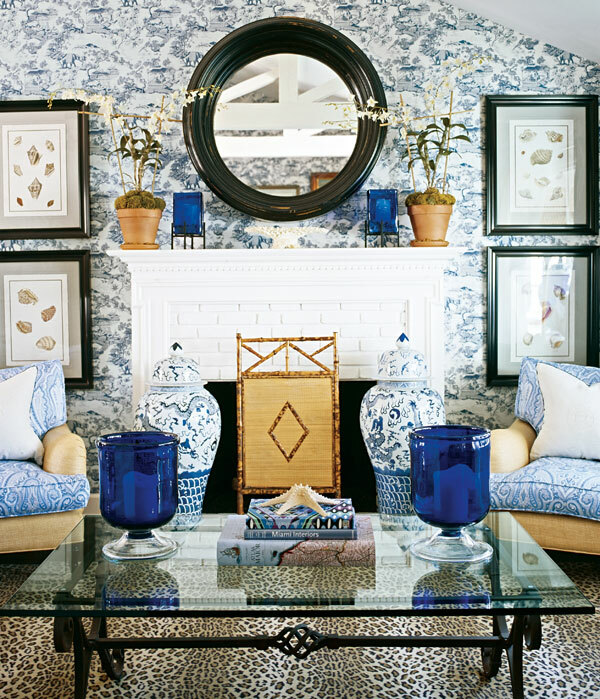 Add art deco or Asian inspired accents to the room, instantly updates for a chic and refined look. Touches of gold-framed mirrors, black lacquered frames, or metallic side tables give your space a more modern feel. 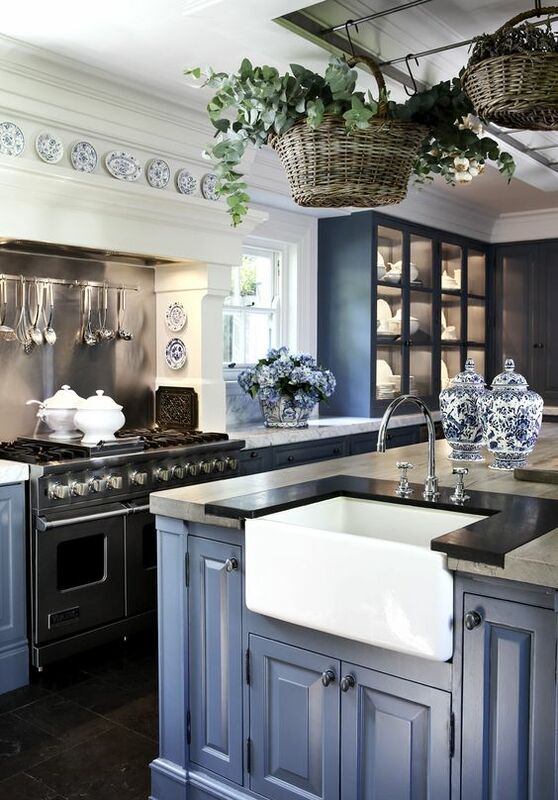 A blue and white kitchen is clean and sleek in any home. 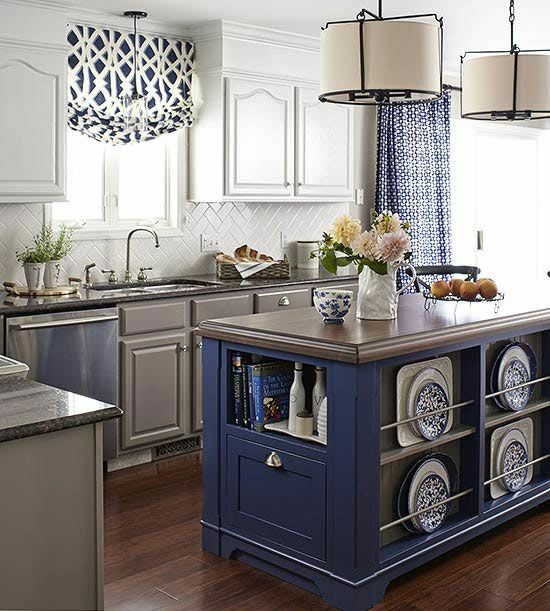 By adding pops of blue throughout a white kitchen, this decor trick is simple and beautiful! 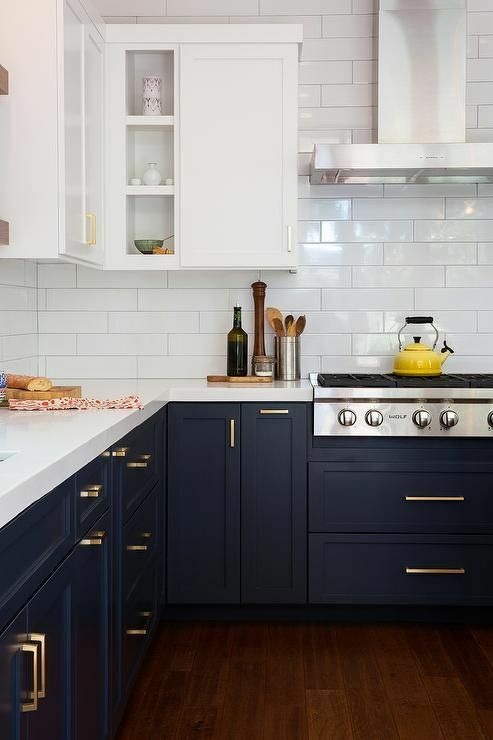 If you want this change to be a little more permanent, add a new blue and white backsplash, or painting and refinishing the cabinets with blue accents, such as the island, in blue make a statement. A high-gloss finish on the island is instantly sleek. 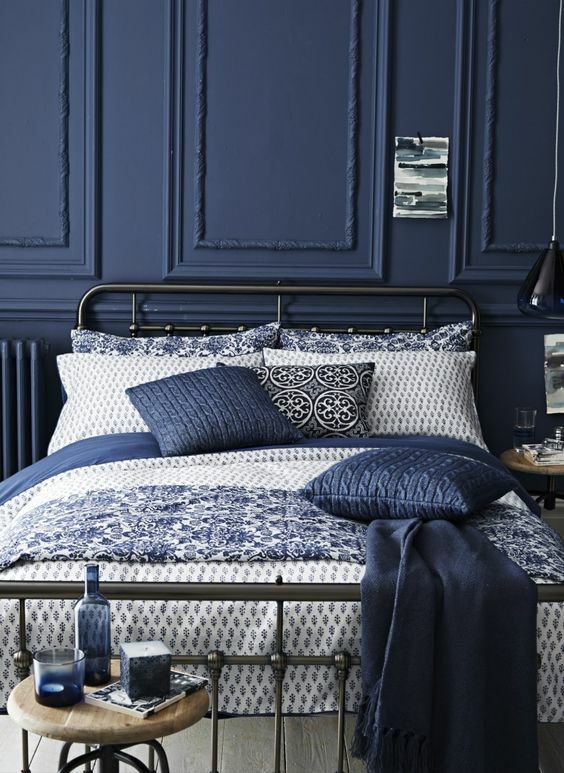 A simple coat of paint, some new bedding, pillows and accessories do wonders to change a space! Pair gold finishes with this combo for a unique and more modern twist to your room. 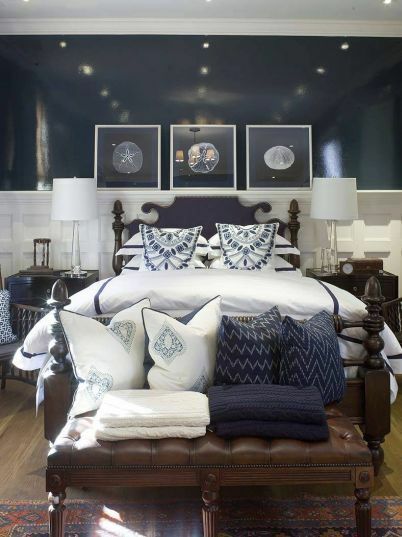 Crisp, white high thread count sheets with blue and white pillows as accents is très chic! 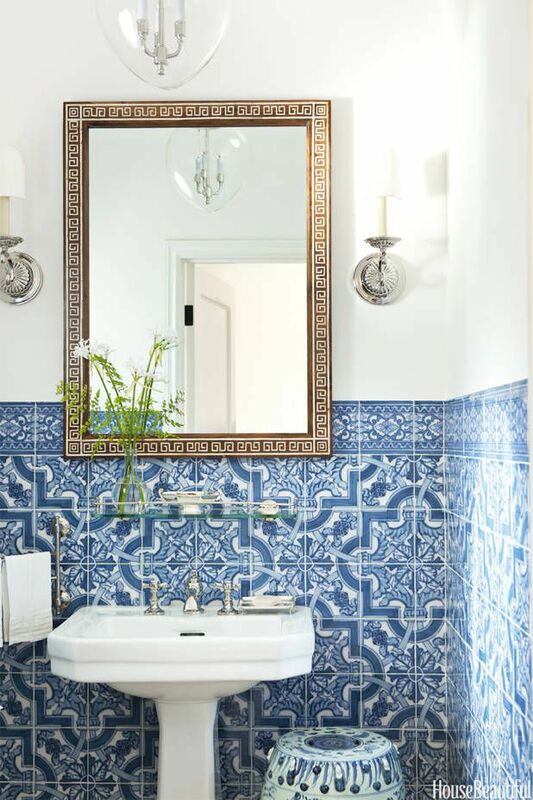 A more traditional blue and white ceramic tile can look beautiful in a bathroom or powder room. It also can definitely have that south of France appeal. If you want the look of the tile but don’t want it to appear to be too overwhelming, you can place it just as flooring. 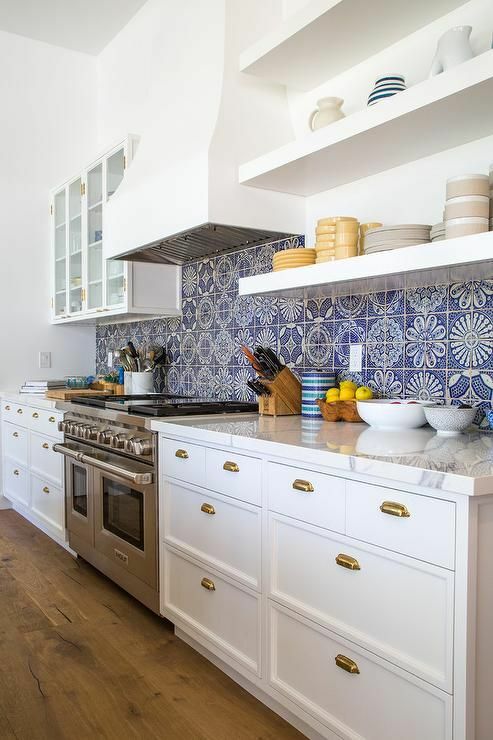 For more of an impact, tile half way up the wall and add simple white paint or wallpaper to the other half of the wall. 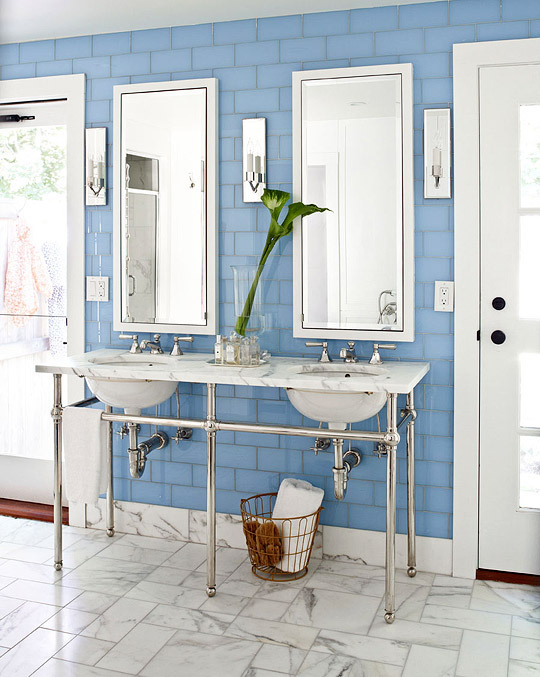 If you want the look of these colors but don’t want a statement tile to get it, add simple accents of white and different shades of blue throughout the room. 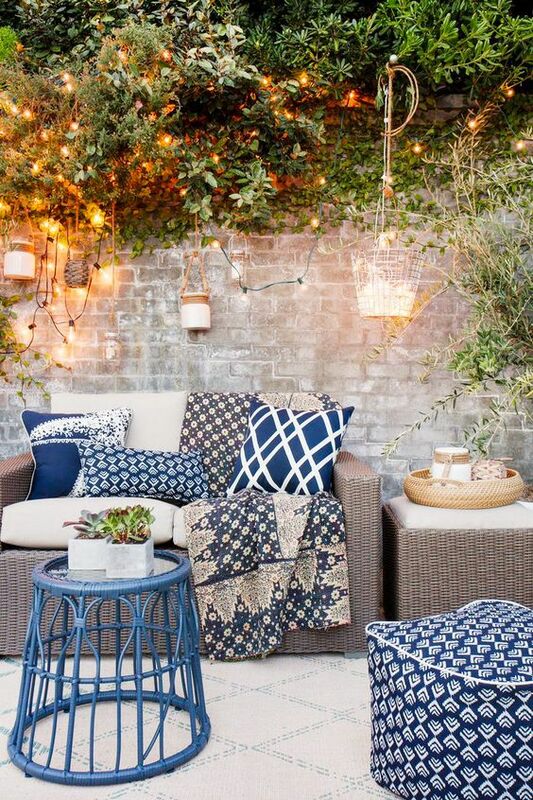 The options for blue and white outdoor decor are endless. 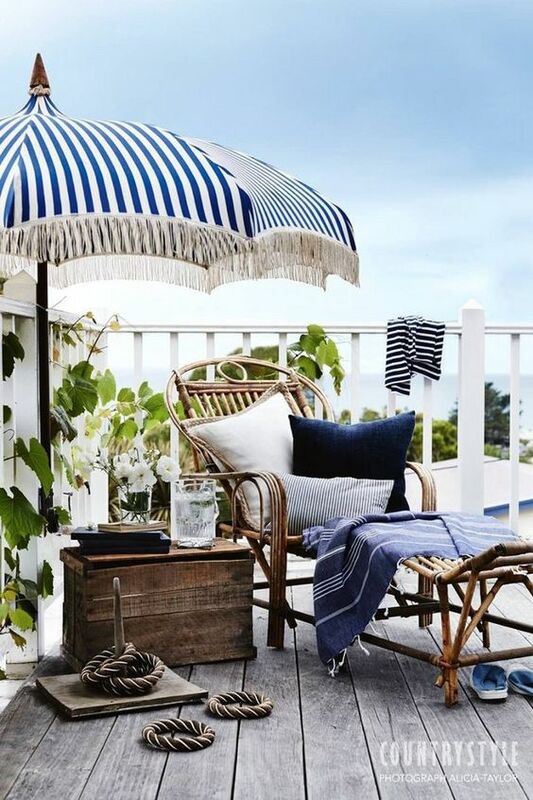 Whether you have a sunroom, porch, or a pool area, a crisp white or wicker furniture looks fantastic with blue accents. 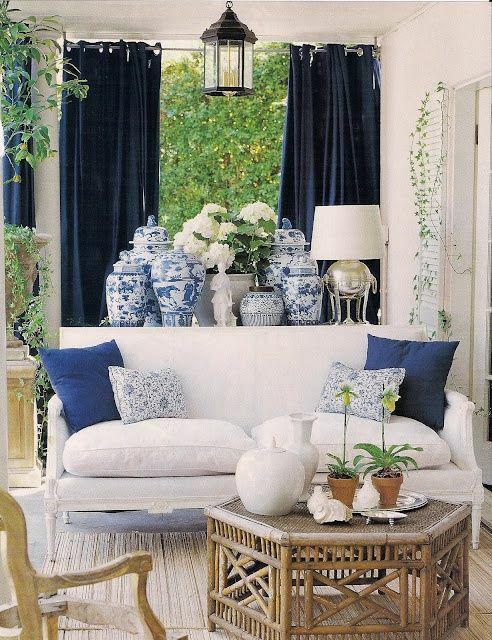 Add as much greenery as you like around it, the green against the blue and white will truly pop! Think of greens in chartreuse shades for maximum impact.